Bruichladdich 10YO, The Laddie Ten is so far one of the biggest highlights of my “whisky tasting career”. According to Master of Malt, this is mark of an new era. I totally agree. 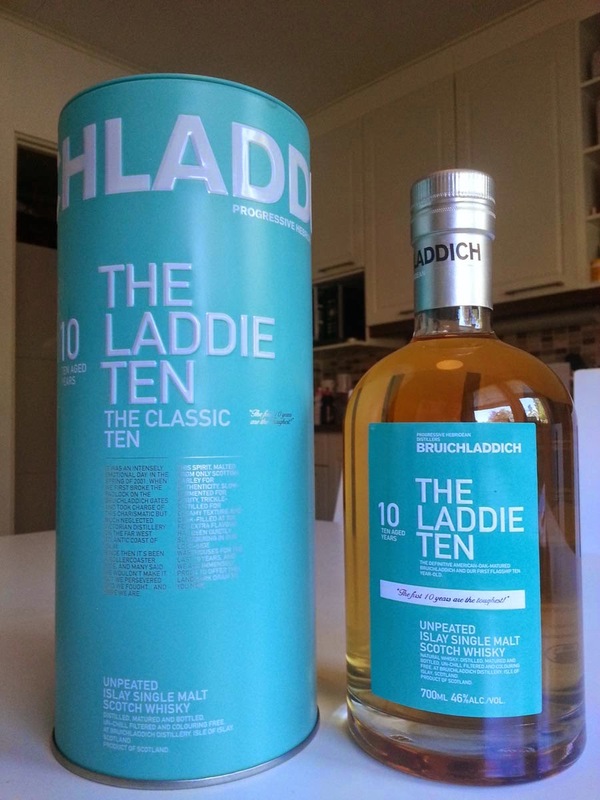 Laddie Ten is a combo of fresh thoughts and tradition, it is like a Quentin Tarantino movie. 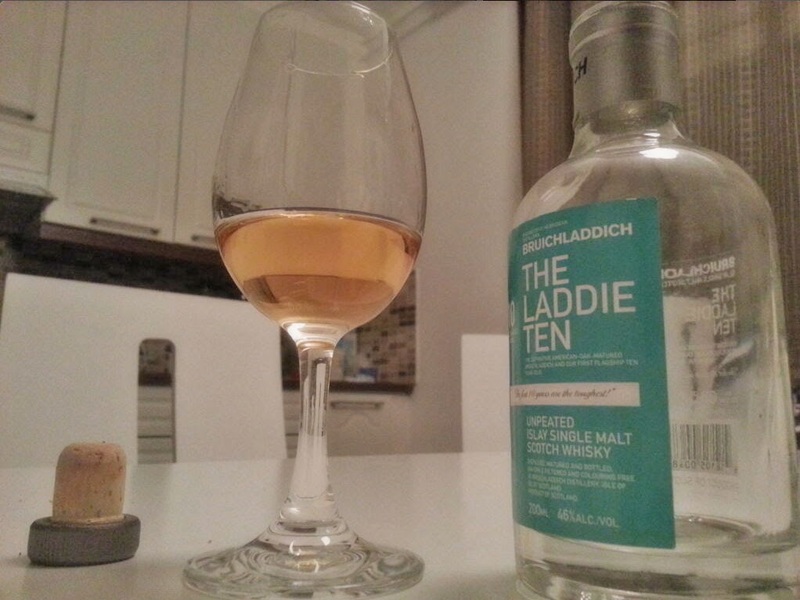 Laddie Ten has exceptionally long finish for a young dram. Bruichladdich said, it comes from the natural oils from the malted barley still in the spirit. Most of the oils are more commonly removed from the spirits. Giving you something new and something borrowed. Tastes superb and offers you many kinds of different enjoyments. Surprises you positively, when you thought it was going to be a mediocre product. What’s that in the film world? Definitely the Inglourious Basterds! 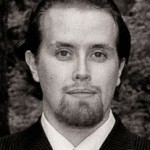 Laddie Ten is the Inglourious Basterds ofwhisky. Inglourious Basterds is an amazing movie. Even though it’s got ingredients in it, that I often don’t like but which I immediately bought. Like the “false history” in the storyline for instance. In Laddie Ten it was the sherry (without smoke), but it was brilliantly sophisticated. These both are benchmarks of grandeur. Great storytelling and manufacturing from both sides, Bruichladdich and Tarantino. Taking some of the old stuff and placing it in your own innovation. Doing it groundbreakingly, which makes both industries go forward. 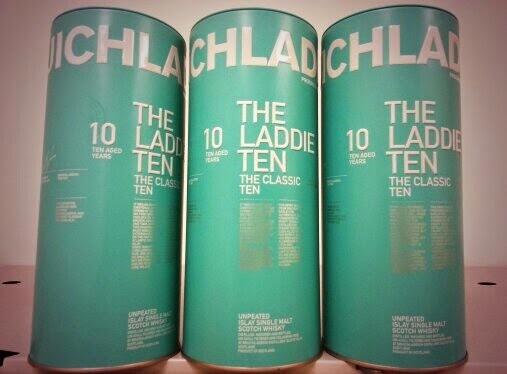 With cream of the crop, the name: The Laddie Ten! Bruichladdich 10YO has the coolest name! Fits perfectly with the character. Nose: Honey and tropical fruits rise delightfully. Lemon dominates with peaches and apricot on the background. Drop of water joins delicate aromas of oak, vanilla and nuts. Water doesn’t do justice for taste, so I won’t be adding water anymore. Taste: Sweet oak and honey start the show. There is a sherry feel but it’s delicate. A great combination of spices and sugary fruits develop with time. Rich and complex. Finish: Malted barley with wee oil and some earthly touch. Also bitter notes. Smooth and long finish. Balance: Magnificent whisky with great complexity. Smooth and versatile dram with character. Subtle aromas and great taste. Has to be one of the best 10YOs out there. This dram makes me crazy, I know. Here’s a #whiskybelfie of Laddie Ten. EDIT: I do have to admit that after revisiting this dram in 2014, it didn’t feel quite as good as it did before (the 0,2 litre version in 2012), so there might be some batch differences with Laddie Ten. Nothing too critical but still, worth a mention. Check out my review of Bruichladdich Islay Barley 2006 – the “Speedy Gonzales” version of Laddie Ten!